I know what you're going to think after reading the following that I am not a real beauty blogger but I only just got my first MAC lipstick! or shall I say my first MAC product ever, only one month ago! Booooo!!!! I know!!! What can I say? Better late than never but I have to admit that I am now totally hooked, not so much to the liking to my bank manager but on the other hand, my lips are loving them. My first MAC lipstick that I purchased was the iconic Ruby Woo. Well you have to start with a classic and red, like my mum always says, a red lip is my trade mark (she wasn't a make-up artist for nothing! ), it was the obvious choice for me. Also, it is a matt which was for me going out of my comfort zone (well you know I am more of shine satin kind of girl). I am convinced that the matt effect is now becoming my new favourite thing! 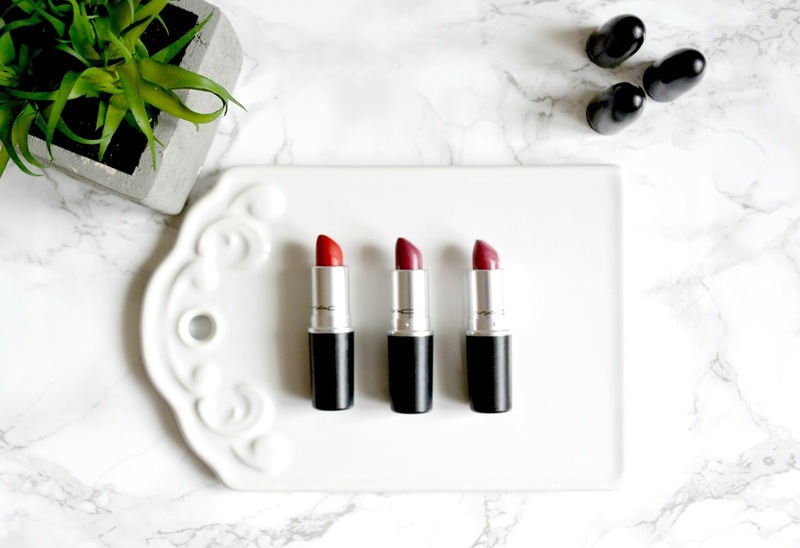 Ruby Woo is a beautiful retro bright red, with a slight pink undertone. Beautiful! 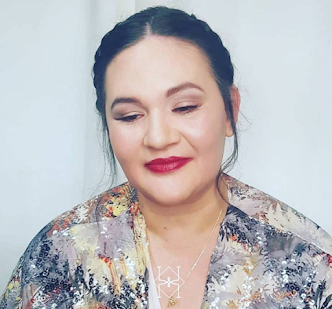 My second purchase was Amourous, this time around I went for a little bit more classic shade, more on the Rose de bois tone mix with a hint of a taupe colour shade. This one is from their satin collection and I have to admit I must have worn it almost every day since I got it...but another one that I also wore pretty much every day too is Craving. These two shades have been fighting the 1st place every morning for the past 3 weeks where I would spend a good minute deciding which one it would be. Craving is very similar to Amourous but with a higher tone of fuschia, probably a little bit more bright as this is from their Amplified collection, but still I am also totally in love with that one. Just a little note to say that Craving was a MAC lipstick that I won through Ellen's blog Fishnetsxd so a big shout out to her! 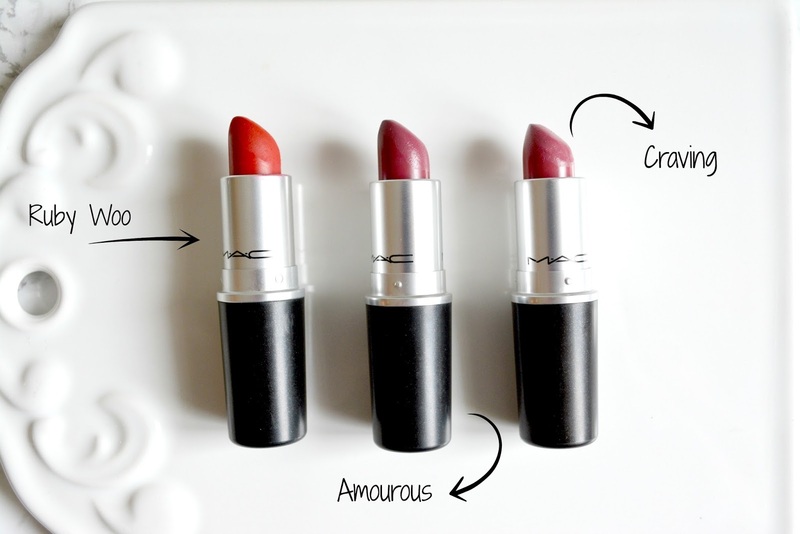 Oh, and shall we talk about MAC lipstick scent? Yes, we should because they smell amazing, what is it? Cocoa butter mixed maybe with a hint of vanilla, just dreamy and yes I have been finding myself on few occasions opening them just to smell them. I am the only one doing this? Does the MAC lipstick scent exit in a form of a perfume? I mus have not been the only one thinking of this, right? So here you have it my little MAC lipstick collection, I can ensure you that this is going to grow, there are so many more I want to get my hands on, give me time...give me time ladies.